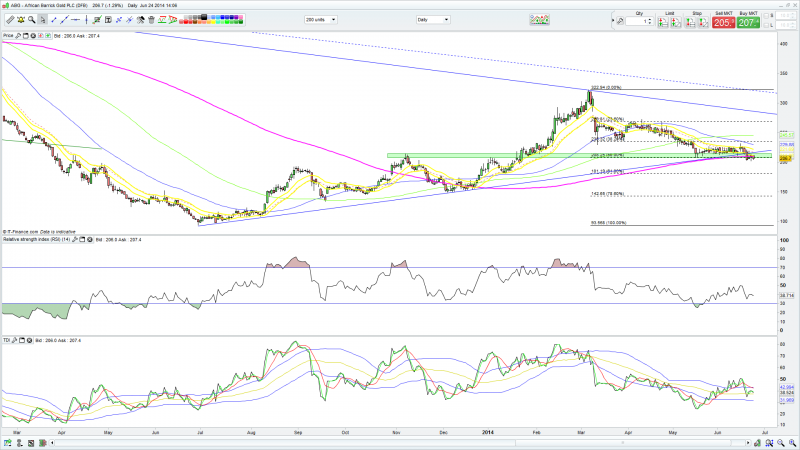 Waiting for pullback on ABG. Between 200p and 220p is a good area to long imo. One to keep a eye for now. Sort of played out as anticipated TF. Hope you did well in your trade. Really really interesting chart this one you have pulled to my attention. Firstly, I can see where you were getting your trade idea from. Regardless of whether it got stopped out or not, it was a sound enough strategy and the most important thing is, you protected yourself with a stop and give yourself good risk to reward. One thing I have learned the hard way in the last 2 years is sometimes it is worth giving your stop a little bit of play, but still keeping a favourable risk to reward ratio. I used to place stops extremely tight, and despite my trade idea being in the right direction, I would often get stopped out of the move early because I was being too fearful with my stop. Fear strangled my trade before it got going. Btw, the above is not aimed at you as a lecture, far from it, you will know more than I do without a shadow of a doubt. Tbh it was probably more a reminder to myself of what I used to do, and if anyone can relate to it, than all the better. Back to the chart. This area has so many areas of support going for it, I can see why it's a huge area of interest. There was the obviously oblique support, there is the horiztontal area of support I highlighted in light green, and there is also the 50% fib area from the low in June 2013 to the recent high in March 2014. There is also the Daily 200sma. Clearly the price has ducked below some of these supports, but I have often seen something like this happen, where it could be a false breakout. The price rarely ever bounces PERFECTLY off an important SMA, but rather trades around that area before a sharp bounce or breakout on the down/up side. Basically, I don't think this trade is 100% dead. I am keeping an eye on it, because a break to either side could see a good move. If I don't trade it, then it will at least be a really interesting learning curve. I like this chart, thanks for bringing it to my attention. Thanks for your post, this does look to be a good technical setup. The trend and chart is still bullish here imho. After adding more of these last Thursday, i was up nicley on Friday AM, and then this news came out. I ended up getting stopped out i thought about moving my stop down, maybe should have doen in hindsight. I decided against it, as i will be away during much of July, and needed the Cash for something, so i wanted to close down all my positions. I've had a excellent run from Feb to June, so can't complain, and not too fussed about this on going wrong. I added more of these today at the trendline. My stop is at 206p a few pence below the 200 day ave at 209p, and the trendline. 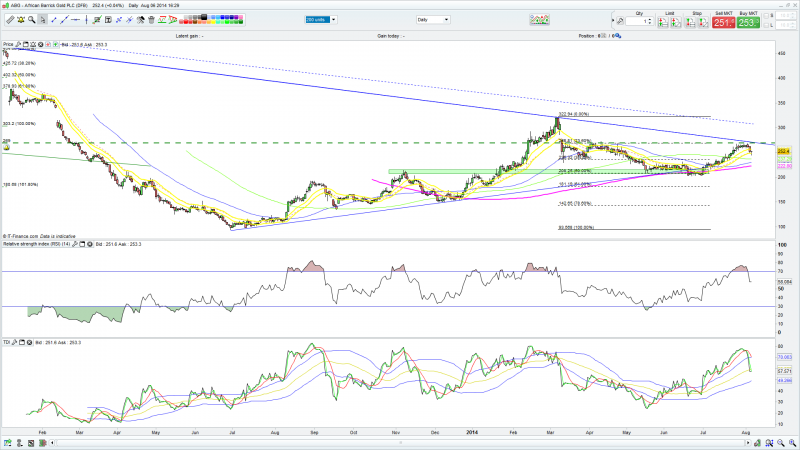 Long at 223p, on the RSI breakout.